Optics are one of the most important elements of an LED luminaire. They shape, focus and mix the light created by the LED light sources into a shape, whether it’s a wide flood light, a narrow spot, or an elliptical wall grazer. Well-designed optics are also critical for getting the most efficient performance from a luminaire, and for mixing colours effectively. Many LED fixtures use both a primary and secondary optic. The primary optic is built in to the LED itself, and usually takes the form of a small dome on top of the device. This is designed to maximise the useful light output of the LED, and provides the basic beam shape of the fixture. Secondary optics, such as TIR lenses or reflectors, are then used to shape the light, typically making the beam narrower. 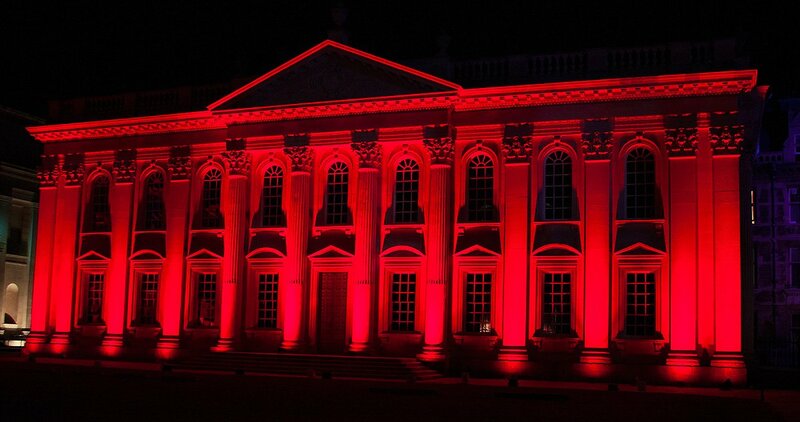 Secondary optics are crucial for colour mixing luminaires, because they determine how well the colours mix. On Pulsar’s Luxeos range of products, a third optic is used. Our holographic beam shapers (HBS) provide even more control over the beam angle and colour mixing compared to relying on secondary optics. 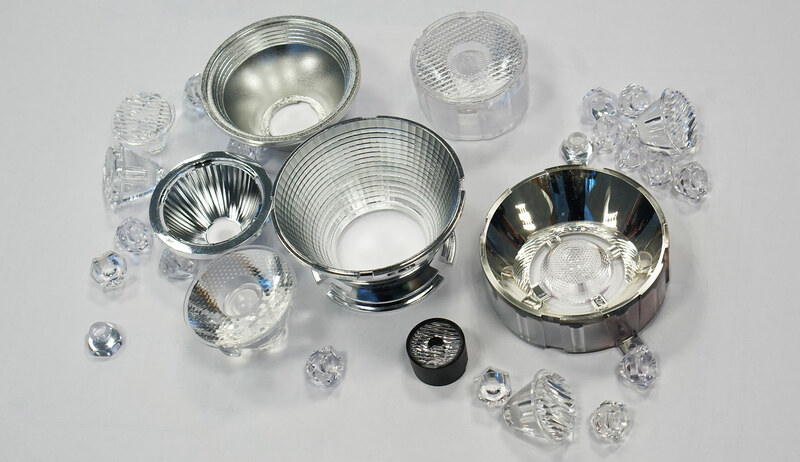 The most common types of secondary optics for LED luminaires are reflectors, which are typically metallic, shaped like cones and sit around the outside of the LED, and lenses. Lenses are typically a TIR (total internal reflection) design and made of a clear acrylic or silicone. One of the biggest advantages of lenses over reflectors is that the light source is covered, which reduces the harsh glare from LED light sources. Depending on the size of the LED and the required beam angle, size absolutely matters, especially for reflectors. Typically, narrower beams require bigger optics, just like camera lenses. Smaller lenses (relative to LED size) can often represent a compromise in efficiency and/or colour mixing and are likely to cause more glare. On the other hand, very large lenses can make luminaires prohibitively large and heavy, due to the extra size needed to accommodate them. The Luxeos range uses reasonably large lenses relative to the LED size for maximum efficiency and minimum glare (more on this next). There’s no getting around it; one of the biggest gripes people tend to have with LED fixtures is glare, and one of the most common causes of glare is the optics. Badly designed optics with bright spots that create stray wasted light, lenses with small apertures, and reflectors that provide direct line of sight of the LEDs are all culprits for causing distracting or even dangerous glare. Well-designed luminaires will reduce glare as much as possible, and much of this comes down to carefully selected and placed optics. At Pulsar we take this to the next level by further reducing glare with our HBS technology, and with baffles, louvres and other accessories available to further block the light sources.